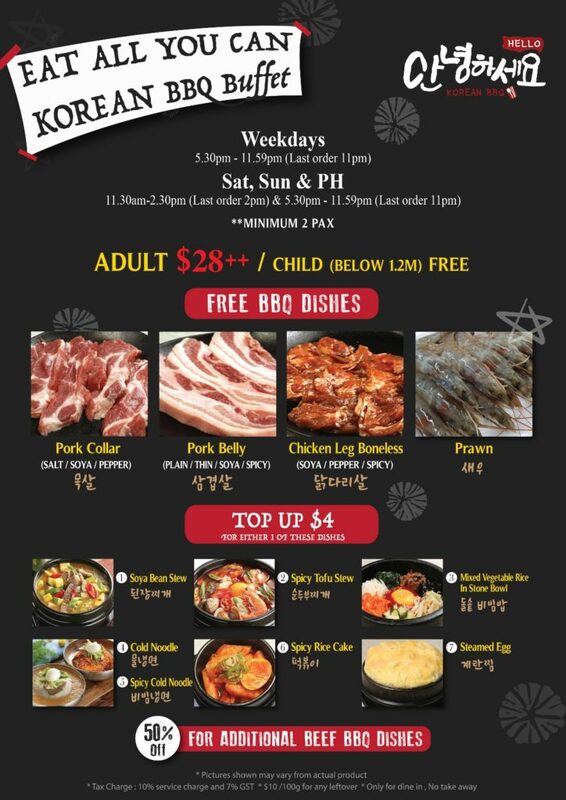 Singapore has plenty of Korean restaurants offering buffet options at really affordable prices. However, most of them lacked authenticity and quality. 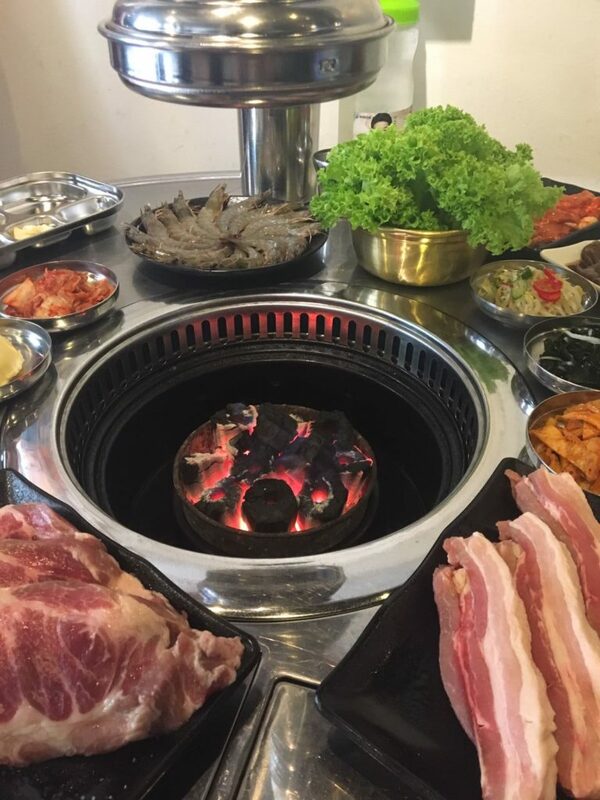 Watching the Korean dramas and hearing friends who have been hosted by Koreans at Korea, I always have the impression that Koreans are very cultured eaters and they are very hospitable! 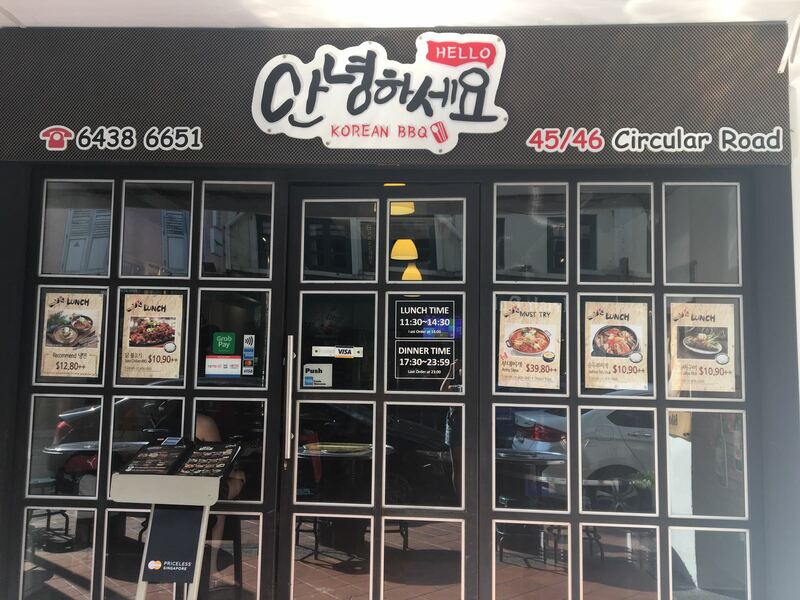 Today, I’ve experienced it first-hand right here at Hello Korean BBQ (no need fly to Korea hehe). Charcoals are used for grilling the meat, instead of typical gas stoves. 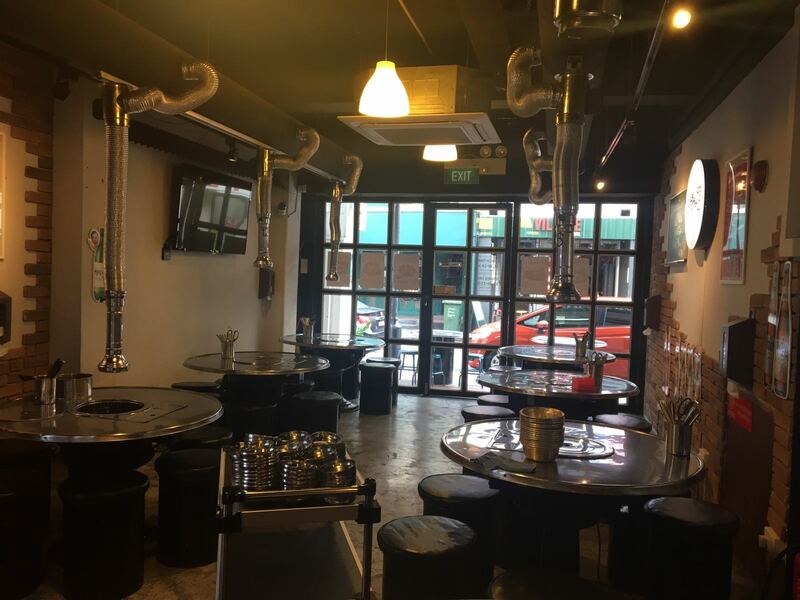 Customers can store their belongings within their own seat to prevent greasiness and leave the restaurant smoke-free with the in-house smoke-suction tube! Operated by a Korean family, below are the reasons why I feel that they have both the quality and MOST IMPORTANTLY – the authenticity! 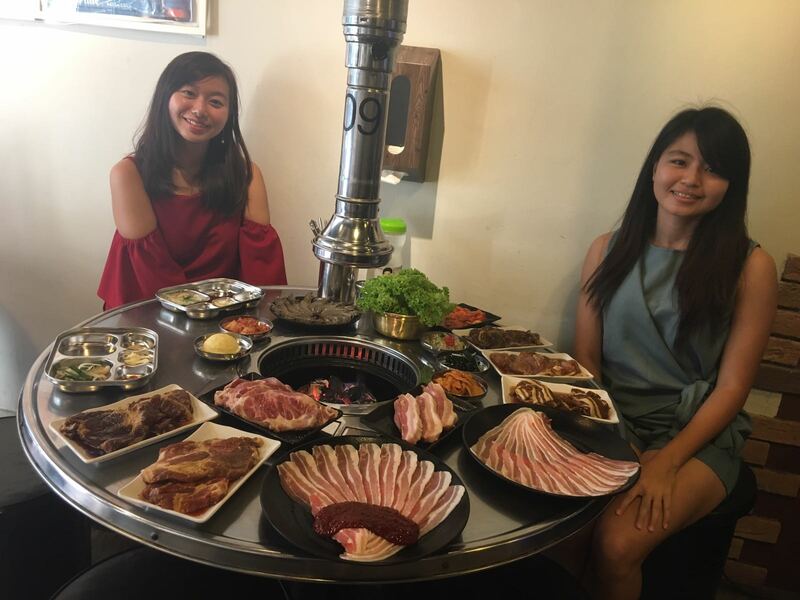 I’ve witnessed how the lady-boss grills the meats professionally in the Korean way and eat them in a Korean manner which shows that I’ve been eating them wrong all this while (read on to not miss out of the tips coming from the Korean lady-boss herself)! 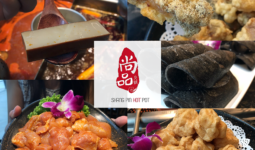 As seen in the brochure – pork collar (Salt, Soya, Pepper), pork belly (Plain, Thin, Soya, Spicy), boneless chicken leg (Soya, Pepper, Spicy) and prawns are offered in the buffet, including some cooked side dishes too. For buffets, usually I will attempt every dish first (especially if the meats come in different marination) so that during my 2nd order I can spam only those that I LOVE. 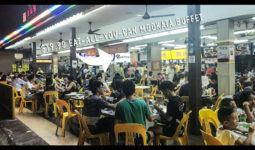 So that’s what I did and let me emphasize which part of the buffet is REALLY good and value-for-money! 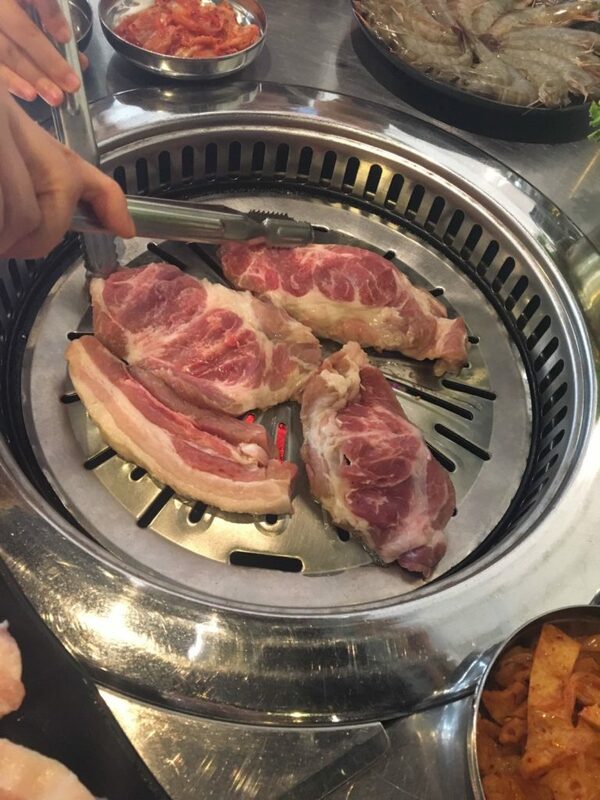 Firstly, Koreans love to eat their pork plain! 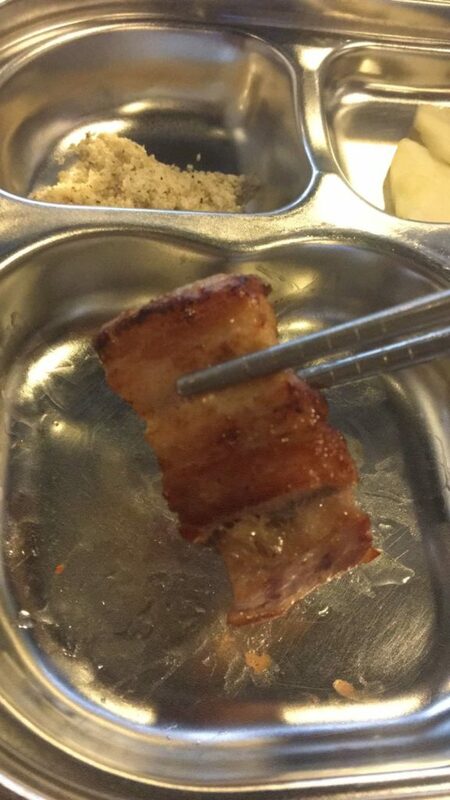 Thus, the quality of both of the pork collar and pork belly can be easily seen and tasted in the plain version. 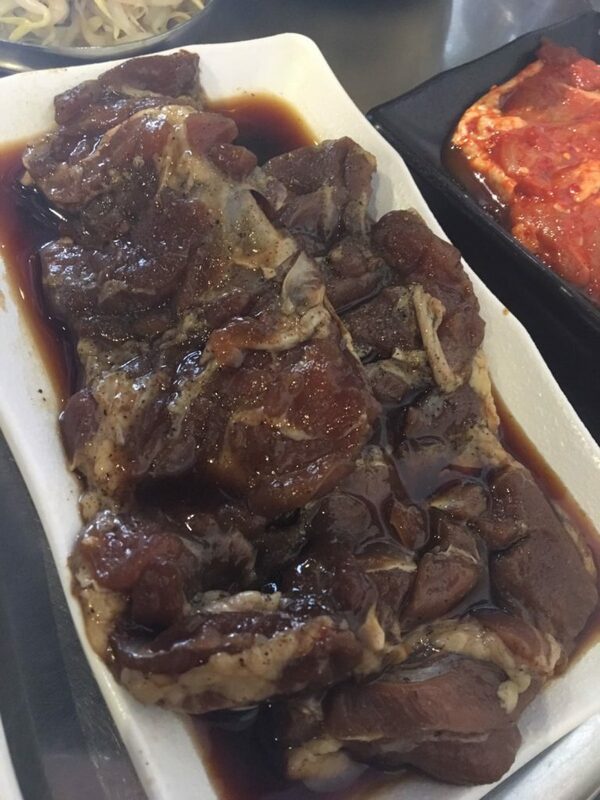 A tip from the lady-boss is that instead of eating the plain pork belly with lettuce, eat it with bite-sized chilled kimchi (provided in the buffet). Having tried that, I know that I will never change to any other way of eating my pork during Korean BBQs anymore. And also, how thick you cut your pork belly is another key! 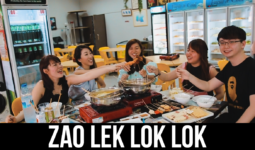 Secondly, I strongly recommend you to try ALL the chicken leg versions (but with a warning)! I love the Soya version the most because it is very flavorful (goes well with just a bowl of rice kind)! The Soya version seems to make the chicken really juicy and the flavor keeps you wanting for more! It was quickly gone from the table as well. Moving on to the Pepper version, I will mention it (even though I usually don’t eat anything with black pepper) because it gives a very mild peppery taste to the meat with complements the original chicken flavor and adds a different yet pleasant heat to the palate. Now, to the spicy version of the chicken – here comes the warning! I am a crazy fan of EXTREMELY spicy food. Having tried both the spicy pork belly and spicy chicken, the difference is drastic even though the spicy level of the spicy sauce is the same. 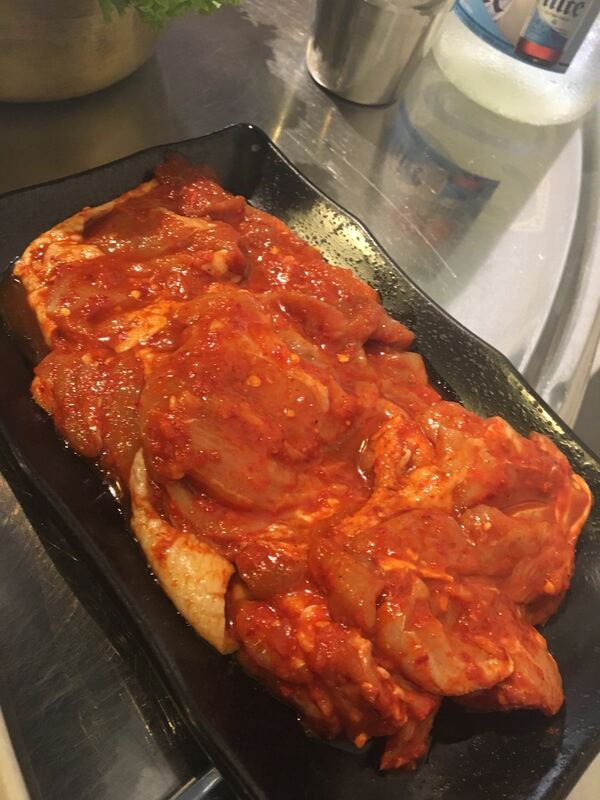 The difference comes from how long the meats have been marinated in that sauce. For the pork belly spicy version, it is served with the spicy sauce at the side. 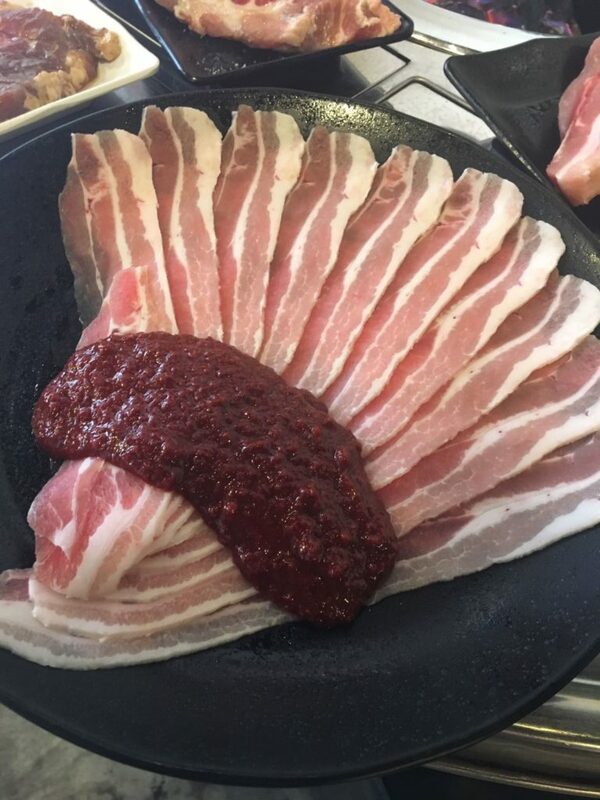 So you only mix the spicy sauce together with the pork belly when you want to grill it. Thus, the spiciness is actually very light and mild. Out of curiosity (actually I do this at any buffet restaurant since it’s free-flow), something tells me to try the spicy chicken version (even though I honestly assumed the spiciness to be similar to that of the pork belly’s). The first bite I took – I knew the spicy sauce is much stronger than the pork belly’s. But I never knew that it would become so spicy after I finished almost one full portion. 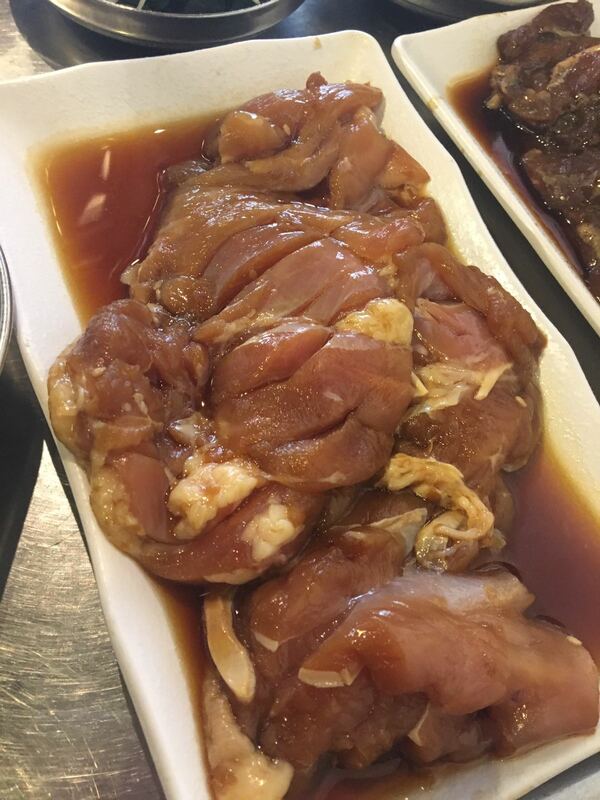 I checked with the ladyboss again: “The spicy sauce used for both the pork belly and chicken is the same sauce right?” She nodded and laughed saying “Yes, a lot of the customers said the chicken is very spicy hahaha.” I agree but I love it! You’ve got to try it if you really love spicy food! So glad to have discovered this! 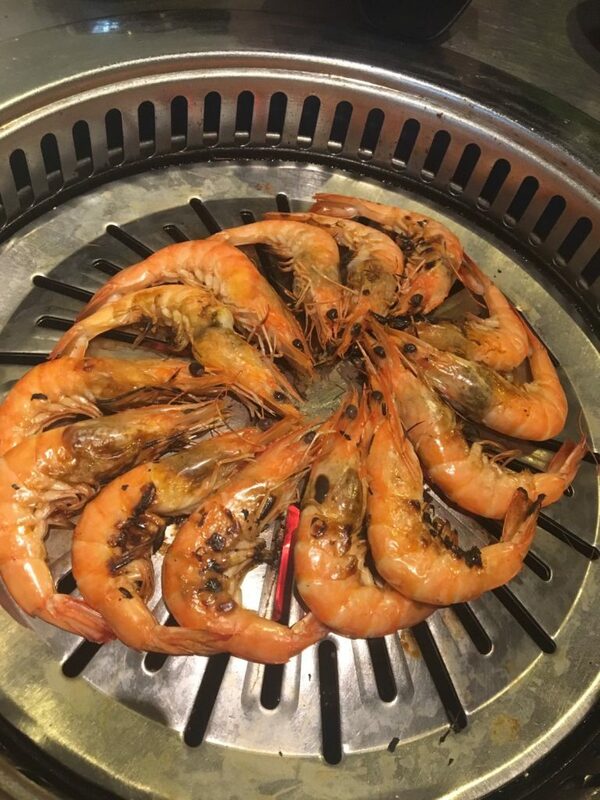 Also, do not miss out on the prawns too!! Extremely sweet and firm – which can be easily peeled from the shell (shows that it’s still fresh). 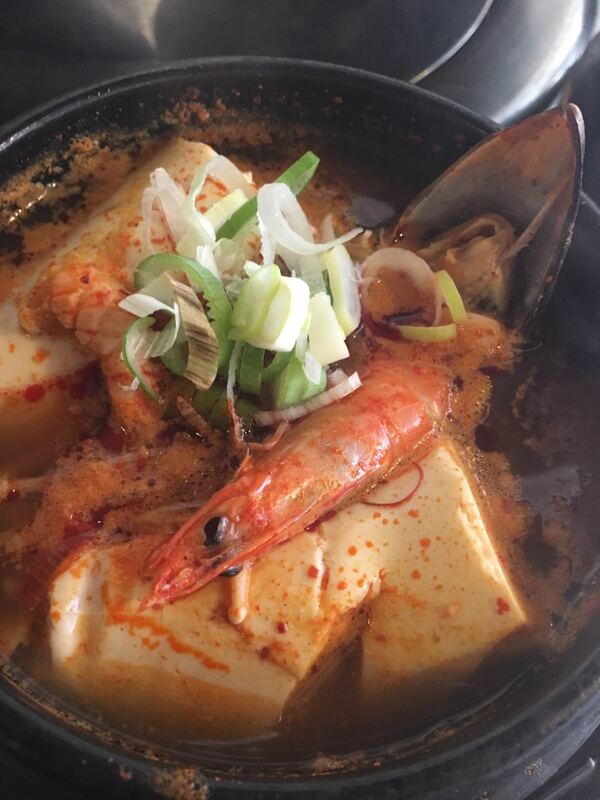 Another must-order is the Spicy Tofu Stew (top-up $4 to enjoy)! The broth was rich in seafood flavour and for that portion $4 is damn worth it! Another tip of eating grilled meats with lettuce is that instead of suiting the amount of meat to the size of the lettuce, split the lettuce into palm-size will do. A very logical move, but let’s be honest – who doesn’t use the lettuce to wrap meats as a whole?? I genuinely thought that using the lettuce to wrap as a whole is the right Korean way to eat it! Observed by the ladyboss, she said that a lot of her Singaporean customers wrap it that way too! 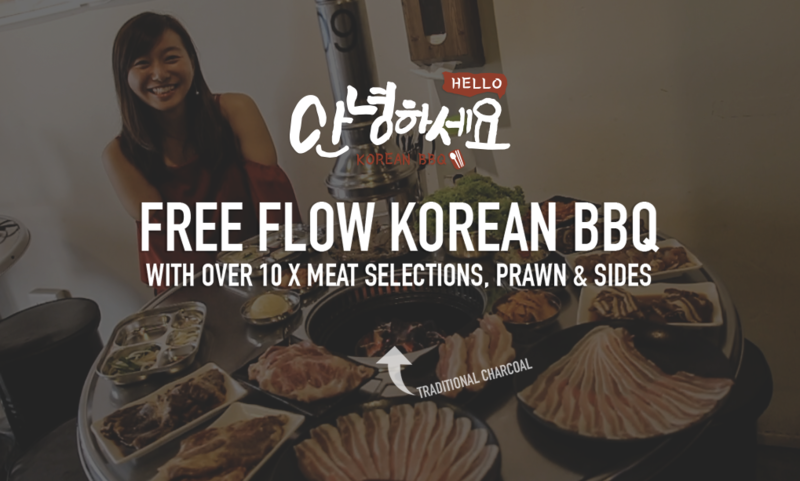 Back to the authenticity factor, not only did I learn the right way of eating Korean BBQ, I’ve experienced the hospitality, sincerity, and thoughtfulness (they go around changing charred hotplates without you asking) of the staff as a whole! Awesome authentic experience on TOP of great quality food will definitely keep me coming back!